NOVIEMBRE olive oil, produced by Finca Las Manillas, is an early-harvest monovarietal extra virgin olive oil obtained from carefully selected green olives taken from the upper part of the farm at the optimum fruit ripening moment, at the start of the season. At Finca Las Manillas we take the greatest possible care in the production of our extra virgin oils, bringing out the main characteristics of the fruit from which they are made. The olives are harvested from the olive trees mechanically and at night, seeking the low temperatures that allow us to obtain the best aromas for this oil. The whole pressing process is carried out in cold with a temperature no higher than 20°C. This facilitates the preservation of the fruit’s characteristics and enhances its aroma, flavour and colour. The right balance of the acidic profiles and antioxidants of our Noviembre EVOO is due, in addition to the varieties from which it is obtained, namely Picual and Arbequina, to the exquisite care taken with its preparation, designed to respect the natural characteristics of the fruit. Noviembre is a limited edition, packaged in 500, 250 and 100 ml formats. 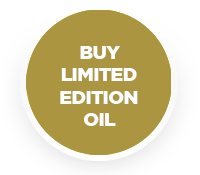 Each bottle of our EVOO is subject to strict quality control, checking that the internal quality parameters are met before it can be sold. We want to pay tribute to previous generations, continuing with their love and passion for olive trees and Jaén oil, trying to instil that way of life in future generations, teaching them that there is only one way to grow an olive grove, with great love. Noviembre, oil from Jaén par excellence, is our way of expressing this feeling. Why Noviembre? 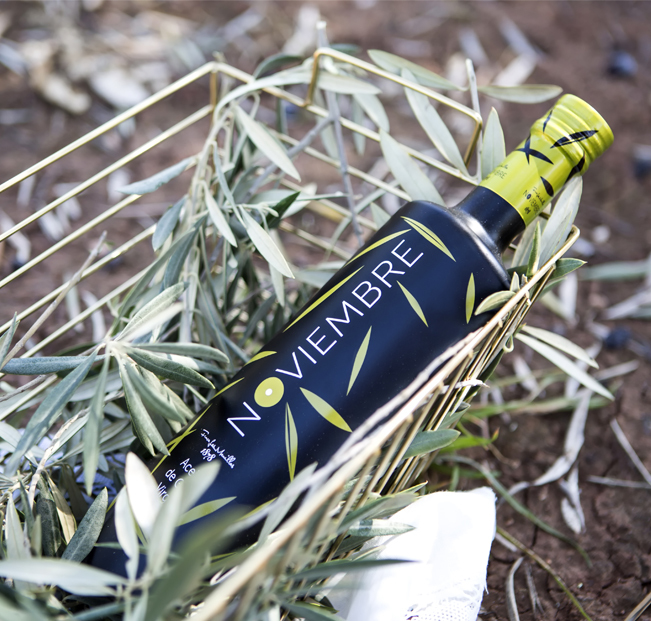 We decided to give our EVOO the name NOVIEMBRE as a small tribute to our grandmother who was passionate about everything related to olive groves and EVOO, who loved this month as she told us that it was the time of year when the town of Arquillos (Jaén) came to life and recovered the traditional values ​​associated with working in the field and family life, the smell from fireplaces, the noise of tractors in the morning and the unloading of olives reaching the press.